Implement these 5 mobile conversion optimization tips to improve your mobile conversion rates. Reduce page elements and minimize the distractions around your primary calls-to-action. Focus on 1-2 calls to action per page. Highlight these CTAs with graphical treatments that make them stand out. Leave space around clickable elements to reduce involuntary clicks and minimize user frustration. Shorten forms as much as possible. In the form to the left, there are some important takeaways. 1. Minimal number of required fields, this form only has two. 2. Open field for users to specifically describe what they are looking for. 3. Easy, click to enact reCaptcha form, no need for typing. 4. Visible CTA, in a bold, contrasting color. 5. Make is easy for users to tell you what they are interested in instead of typing. Cut down on checkout funnel steps. Present the billing and shipping options on the same page instead of two separate pages. Allow for GPS targeting so that store locators can identify a user’s location instead of having them enter information manually. Use a click to call feature for phone numbers. Allow users to save their account and payment information with a log-in feature so that if a user returns to make a second purchase, they won’t need to type in their information. If the message can be conveyed visually, then do it! It can be quicker and easier for a mobile user to take in a message visually than having to read a long description of small text. Helps users find what they are looking for quicker. Filtering can reduce the amount users need to scroll down long page of search results. 60% of visitors expect a site to load on their mobile phones in 3 seconds or less. Google’s page speed insights tool is a great way to learn about your site’s performance and get helpful suggestions to speed it up. 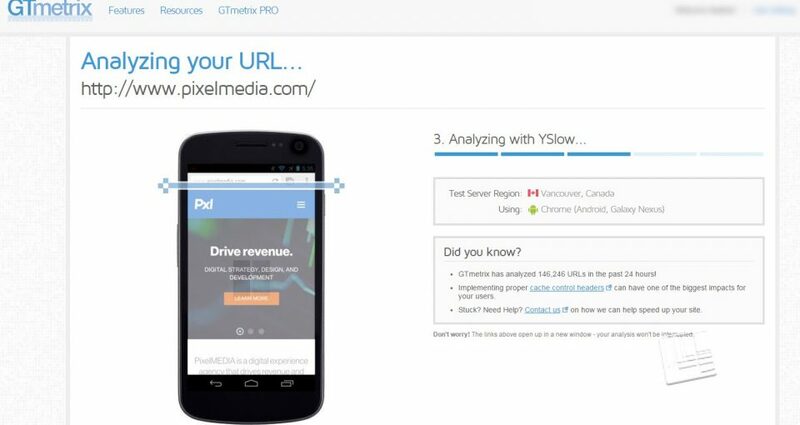 Another helpful tool to identify ways to speed up your site is GTMetrix, which can analyze specific site pages and provide recommendations to speed up your site. They provide a helpful grade that you can use to compare where your site stands up against your competitors. Enhancing your mobile site experience is important to convert mobile visitors, use these 5 tips to start moving in the right direction.